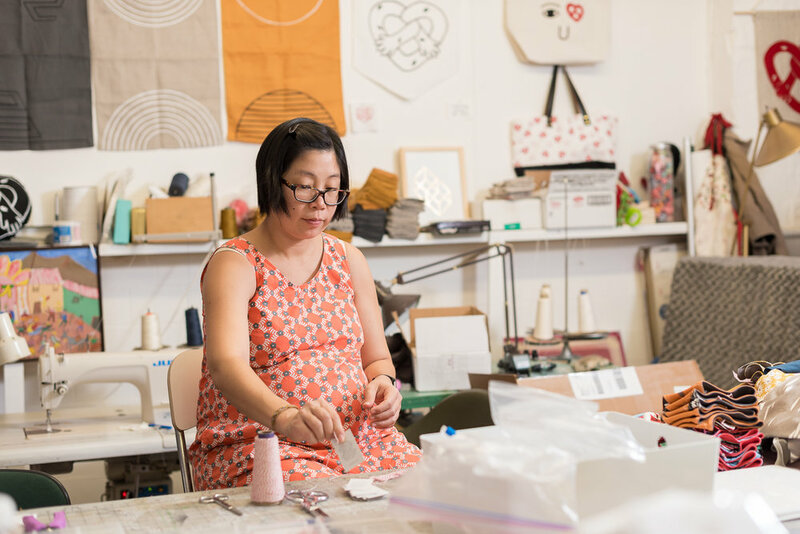 Join us for our fall series of free, drop-in events: Open Studios invites you to tour local artist studios, ask questions, and see how and where Pittsburgh art is made! Radiant Hall currently hosts 70 artists working in a variety of media including: photography, painting, sculpture, new media, mixed media, textiles, ceramics, installation, drawing, graphic design, video production, writing, printmaking, collage, and more! Plus, enjoy FREE cider from A Few Bad Apples! 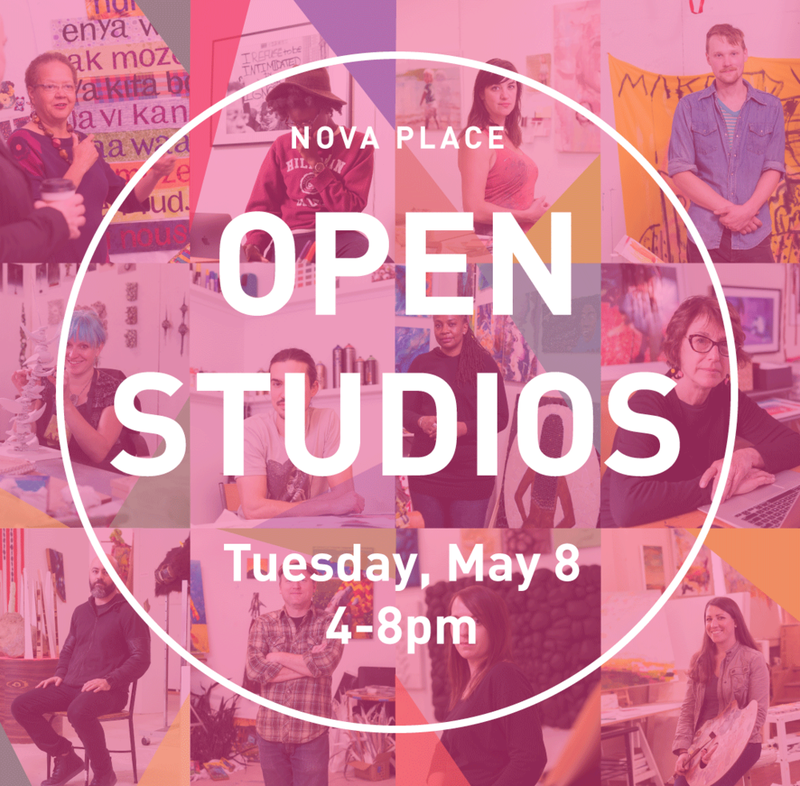 This spring over 60 artists will open their studio doors for a behind the scenes look at their processes, their inventory, and their practice as a whole. 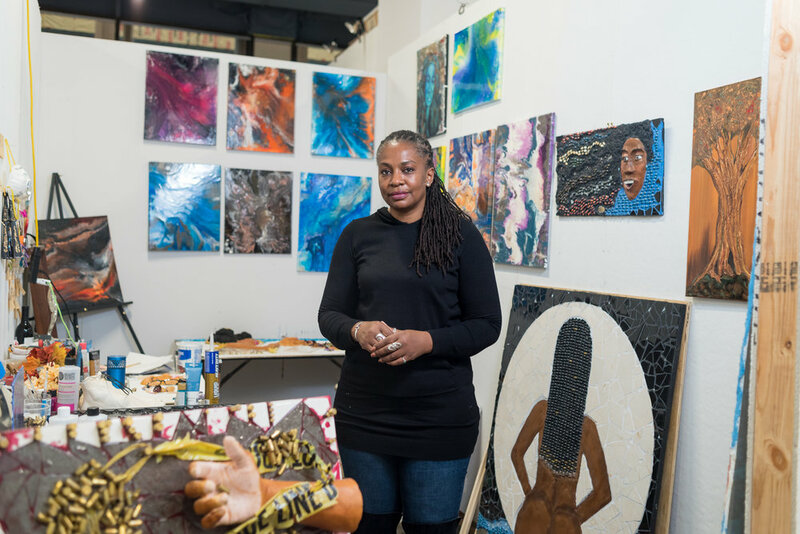 You don't have to trek all over the city to see some of Pittsburgh's up and coming talent, just visit one or all 3 of Radiant Hall's Open Studios. This time around we are partnering with more local organizations for more entertaining and energetic atmospheres in which to spend a few minutes or a couple hours! Because Radiant Hall has 3 studio locations and our artists work in a variety of media, there are more options for you to choose from, and you're bound to find something you like! Want to preview who you'll see at each event? 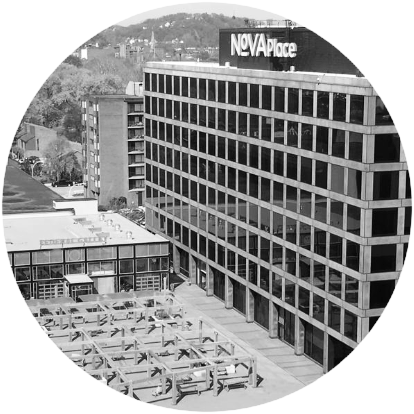 Check out our Nova Place, Lawrenceville, and Susquehanna pages for lists of artists, images of their work, and links to their professional websites. See below for specific details about each event and mark your calendars! We are partnering with Nova Nights! Pick from 5 different food trucks and listen to live music not to mention 1/2 off Happy Hour at Federal Galley next door! Come Party on the Plaza with us! Within walking distance of a variety of shopping and brunch spots as well as gorgeous Allegheny Cemetery, a great way to spend a Saturday afternoon. You won't be able to resist a Pigeon Bagel from their pop-up shop in the studios, and we'll have free soft drinks. Last, but not least, come taste some free pizza baked outside in a brick oven built by students at Trade Institute of Pittsburgh! You can also meander through the 'studios' of Pitt's Manufacturing Assistance Center, Tread, Alba Art Conservation, Foulke Fine Art Restoration, Stak Ceramics, and Urban Tree. Lots to do, don't miss it! Annual Open Studios Welcomes 500+ Visitors! Did you make it out to tour Lawrenceville, Nova Place, or Susquehanna? We hope you did, because we love hosting visitors and showing off our talented artist members. The Fall Open Studios weekends resulted in over 500 visitors to our three locations - a great turnout! Photographer Christopher Sprowls got some great shots of the events. Check out the photos below for some great images of artists, studios, and visitors. Thank you for being part of Radiant Hall! 5 Year Anniversary Celebration Raises $15,000! Whether you attended our anniversary celebration event, purchased a work of art in our exhibition, invited your friends, or donated from afar - thank you to our supporters for making our 5 Year Anniversary a success! The festivities kicked-off Friday, October 20th with an opening reception for the exhibition at FrameHouse & Jask Gallery in Lawrenceville. The exhibition featuring 66 works from current and alumni Radiant Hall artists was curated by Jessica Beck, the Milton Fine Curator of Art at The Andy Warhol Museum. Seeing all the pieces from so many artists in one place illuminated the vast network of creators that Radiant Hall has built. There were a wide-variety of mediums, subjects, and palettes. View of the exhibition at FrameHouse & Jask Gallery which ran October 20th - 30th, 2017. There were around 150 guests in attendance, which extended onto the patio courtyard outside the gallery. LUXE Creative did a spectacular job of setting the scene with atmospheric lighting and lounge areas where guests were able to enjoy connecting with many of our artists who were in attendance. The Vandal provided delicious bites to eat while a local DJ spun upbeat music the whole night. Guests were able to warm-up from the early-fall, brisk evening weather with hot mulled wine served by friendly bartenders from Spirit. Hayley Haldeman and Ryan Lammie, co-hosts of Radiant Hall's Five Year Anniversary Celebration. Photo credit John Heller/Post-Gazette. Co-host and Board Member Hayley Haldeman welcomed VIP guests at 7pm with short comments on the progress of Radiant Hall and her views of how the organization supports the local artist economy. This was followed by comments from Co-host and Executive Director, Ryan Lammie, sharing photos of the studio locations when Radiant Hall moved in, and where they are today. Finally, Board President Matthew Galluzzo thanked our special guests and supporters, Sue and Scott Lammie, for their vital contributions to Radiant Hall, especially in its formative years. Radiant Hall would not exist were it not for the Lammies. With the help of our generous supporters and corporate sponsors, Radiant Hall raised $15,000 in unrestricted funds from the event and exhibition! This money allows Radiant Hall to continue its mission to create and preserve studio environments for working artists. You can read more about the event and the work of Radiant Hall in The Pittsburgh Post-Gazette; check out the article here. We’re already starting to plan our event lineup for 2018, so stay tuned. If you’d like to get the news straight to your inbox, join our mailing list here. and thanks to our Board Members and staff: Matt Galluzzo, Paulo Nzambi, Rick Belloli, Taris Vrcek, Bill Kofmehl, Hayley Haldeman, Michael Herald, and RH Operations Manager Wizard Stephanie Garrison. Radiant Hall holds Fall and Spring Open Studios each year. 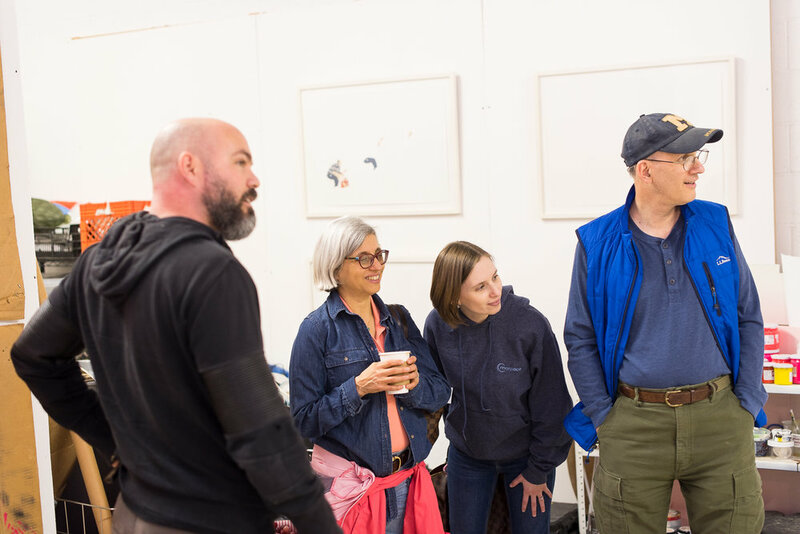 They are opportunities for the public, patrons, friends, and family to tour our locations, meet the artists, and establish connections that can be beneficial to all. Artists will be present to show you their work spaces filled with tools, paints, pens, fabrics, items destined for sculptures, works for sale, and their creative spirit. 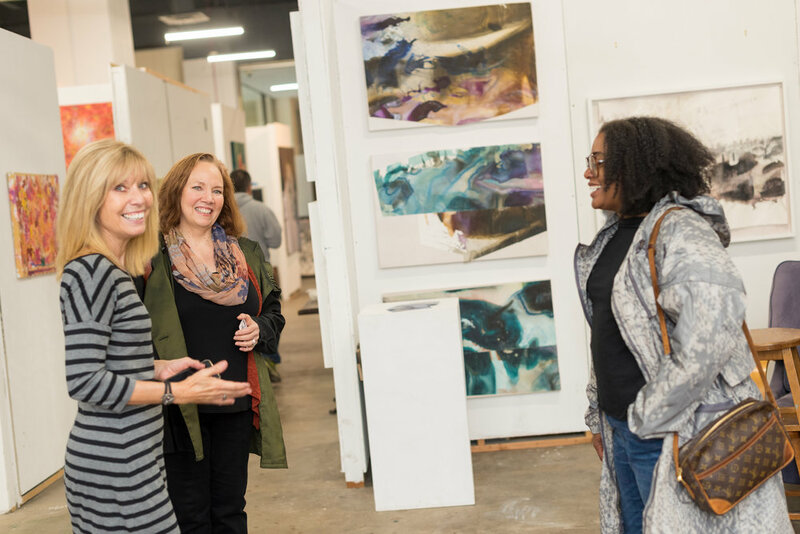 In conjunction with Radiant Hall's events, the 13th Annual Lawrenceville Artists Studio Tour will be happening Saturday October 21 simultaneously. Lawrenceville's Artists Studio Tour is a volunteer run event sponsored by Lawrenceville Corp. Radiant Hall members Seth Clark and Ryan Lammie joined the volunteer crew in 2004. They worked to expand and enrich the event, and then applied the studio tour model to Radiant Hall's North Side and Homewood locations. Radiant Hall's Open Studios and the Lawrenceville Artists Studio Tour are open to all and free to attend. Join us in appreciating our local artists! 2017 is extra special because it's our 5 Year Anniversary! We're having a celebration on Friday October 20 and we want YOU to join us! Get a VIP ticket with an exclusive first look at our 5 Year Anniversary Exhibition, or join us at 7:30 for the main event. Tickets and details here. This November marks Radiant Hall’s 5 year anniversary. Two artists looking for a studio space in 2012 has grown into the largest nonprofit network of studio artists working in Pittsburgh. We have now served over 150 artists across Pittsburgh, offering affordable studio space and other resources across our three locations in Lawrenceville, North Side, and Homewood. We've come a long way . . . Radiant Hall's Lawrenceville studio 5 years ago. We’re celebrating with Radiant Hall’s first ever exhibition—a two week, salon style show at FrameHouse & Jask Gallery in Lawrenceville, featuring work from Radiant Hall’s current artists and alumni. The exhibition will run October 20th - 30th, 2017. Artworks with be available for purchase, and sales directly support both the artist AND Radiant Hall - an uncommon occurrence! If you want an exclusive first look at the exhibition with a cocktail in hand grab a VIP ticket to our 5 Year Anniversary Celebration (details below). Join us on Friday, October 20, 2017 for opening night and our 5 Year Anniversary Celebration! Radiant Hall relies on the generous donations of individuals, as well as corporate sponsors, foundation support, and other grant-making organizations. Thank you to all our supporters, we could not have gotten this far without you. Please, consider investing in Radiant Hall's mission to create and preserve studio environments for working artists by purchasing a ticket to our celebration today. We hope to see you there. Are you a RH artist who would like to be included in this exhibition? Click here to submit. You will receive a follow-up email. Can't come on the 20th? Don't worry, there's more art! Check out Radiant Hall's Fall Open Studios and the Lawrenceville Artist Studio Tour the next day, Saturday October 21. For the 6th season of Casey Droege Cultural Productions' keystone program, SIX x ATE, each event in the series explores a Latin phrase as its theme. Earlier this year "Fiat Lux" and "Vox Populi" lit up the winter darkness with the verses of independent hip-hop artist, Jasiri X and photographs of Richena Brockinson. The theme for the upcoming dinner/lecture series on Thursday, June 29th is In Situ. The phrase brings to mind place-making, authenticity, and memory. Any of these topics could be examined, which is one reason why SIX x ATE events are so seductive. Guests never know what conversations may happen, or what inspiration they may draw. Radiant Hall's Monthly Artist Happy Hour! RSVP on Facebook and Invite friends! 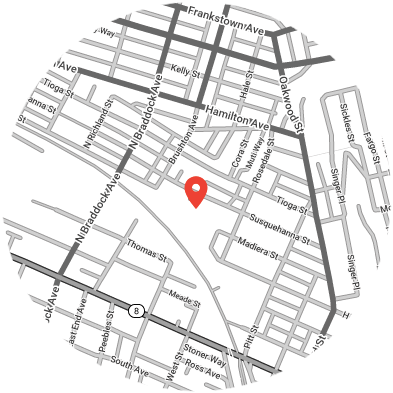 Come out for Radiant Hall's Annual Spring Open Studios! 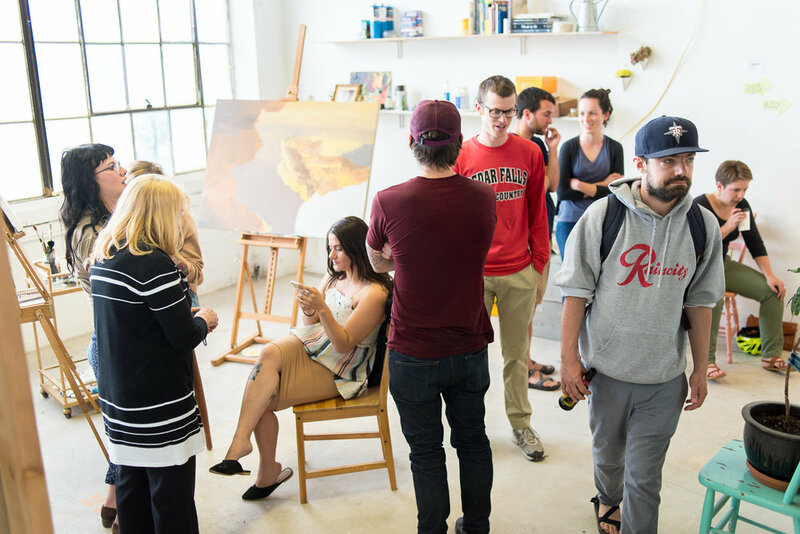 Happening the first three Saturdays in May, the open studios will give visitors an inside look at Pittsburgh's largest studio collective, with over 60 artists in three locations. Mark your calendars and get ready to discover Pittsburgh's studio arts like never before. The PGH Art Exchange is a lottery in which artists and art enthusiasts have the opportunity to exchange artwork, or cash, for new works. This year the Lawrenceville Artists Studio Tour turns 12! To celebrate, we spoke with graphic designer Paul Schifino, a Lawrenceville native, who has crafted the event's identity since day one (2005). Trace the logo's evolution in pictures, and learn why this year's poster is the most "social" yet. Ryan Woodring, replicated Hatrene goddess usurps her dethroning (2015), composite 3D print, 4 x 6.5 x 4.5 in. Former RH Lawrenceville member Ryan Woodring decamped for Portland in 2013. Now he's back, to appear at the International Sculpture Conference - although he doesn't consider himself a sculptor. Nine Stories, Lawrenceville’s first bookstore in decades, is celebrating Grand Opening on Saturday, October 1! To celebrate, we asked the Nine Stories team to curate a selection of books especially for us artsy types. (One of them has "engineer" in the title - bold move, Nine Stories.) Check out their recommendations in this post and visit them in store! Gavin Benjamin, image from Old World Luxuries, featured in the August edition of his magazine of new work. Courtesy the artist. Radiant Hall artist / photographer Gavin Benjamin is finding new life in an old format: by using online magazines to showcase his new work, he crafts an immersive, curated experience. Studio Dinner Series menu and venue preview! The lineup for our August 16 and 18 dinners: Chef David Bulman of Plated Trade will cook for us in the beautiful studio of architect Page Thomas, a neighbor in our Susquehanna Street studios. Click for details and tempting food pics. Best of all, all proceeds directly support Radiant Hall's operations. That means directly helping Pittsburgh's amazing, hard-working artists. In this guest post, Sarah Shotland recounts how she struggled to write a big book in a big desert—and found inspiration in her own smallness.
" The rock formations in Sedona are massive, almost extraterrestrial, or ultra-terrestrial. It’s difficult to lose sight of your smallness in their presence." Want to keep Pittsburgh affordable for young, emerging artists? So do we! How can you help? It's easy... Just join us for dinner. The next Studio Dinner Series kicks off August 2. Buy your tickets, bring a friend, and help support artists keep the lights on (and the A/C cranked up). Pittsburgh multimedia producer Njaimeh Njie has been working for years on Powered by (G)race, an an ongoing, multimedia exploration of contemporary black womanhood. Now a selection of photos from the project are on view at the Energy Innovation Center in the Hill District, curated by Casey Droege. Radiant Hall coordinated this exhibition with support from Pennsylvania Partners in the Arts. Following a successful expansion into two new locations last fall, Radiant Hall Studios is now poised to launch a new creative services enterprise. 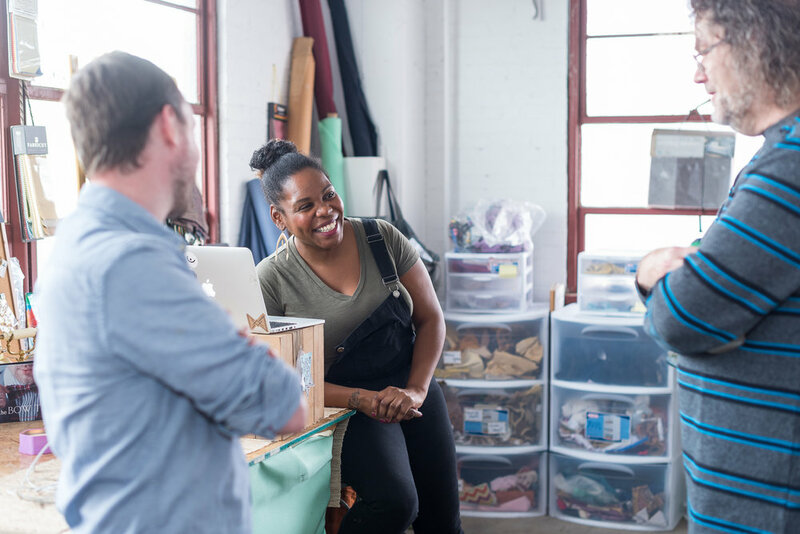 Called “Radiant Hall Work,” its mission is to connect clients to Pittsburgh’s best emerging creatives, artists, and craftspeople while broadening the Radiant Hall network. Read the full press release and more. We have entered into paradise... or maybe just Sedona. Executive Director, Ryan Lammie, shares his first impressions of Sedona, Arizona. Ryan and fellow Radiant Hallers are visiting Sedona for the first ever Sedona Summer Colony arts residency.